« Did the Heinz Field DJ Intentionally Call Joe Flacco "Little Girl?" 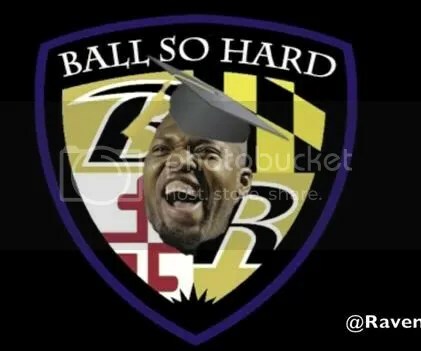 Want more information about T-Sizzle’s Alma mater, Ball So Hard University? Look no further…. This entry was posted on November 9, 2011 at 9:59 am and is filed under Goob's Videos, Humor, Ravens. You can follow any responses to this entry through the RSS 2.0 feed. You can skip to the end and leave a response. Pinging is currently not allowed. Ball So Hard is from a song from Jay Z and Kanye West called N-Word In Paris. Since I’m white I’m not going to say the actual word. I think a class called Game Winning Drives 101 with Professor Flacco should be part of the curriculum of BSHU. I got my Ball So Hard University Shirt @ http://www.247swag.com ! I would love to go to ball so hard university! I want to Major in physical education and minor in trash talk. I hope to become a gym teacher or trainer who can talk some major trash on the side! Hope to hear from T-Sizzle soon!